Having a small bedroom is difficult, especially when you run out of storage space. That’s when you need a good solution that doesn’t involve throwing half your things away. Before you take those extreme measures, consider a better solution, such as integrating useful storage space with furniture. 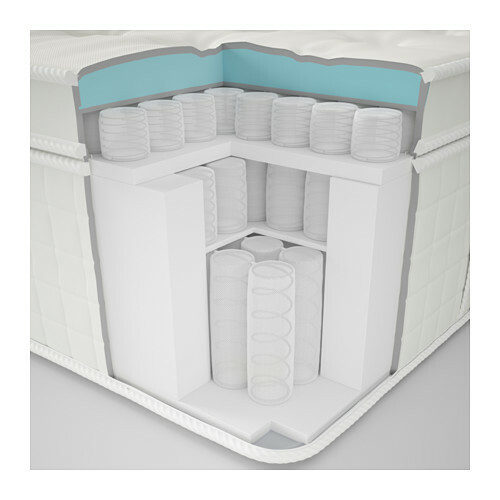 IKEA offers plenty of those solutions, in terms of different beds with storage units at offer. A combination of functionality and convenience like this is only available at IKEA, especially with prices as low as theirs. If you are looking for a bed frame with storage, you have come to the right place. Here are IKEA’s 10 best beds with storage and the most important information you should know! Before we proceed, here are some alternative high quality bed frames. The Brimnes bed frame offers four spacious drawers that will significantly increase the storage space in your room. Whole Brimnes series at IKEA was designed to save space in households, which is why this bed frame offers such a great storage solution. The Skorva mid beam and the slatted bed base come included in the price, where you can choose one of the three bed bases; Leirsund, Lonset and Luroy. The price of the bed will depend on which slatted bed base you choose, Leirsund being the most expensive and Luroy the least. This bed frame has adjustable sides, which is convenient because you can choose a mattress of any thickness to fit it. Customers describing it as a sturdy and good looking piece of furniture. 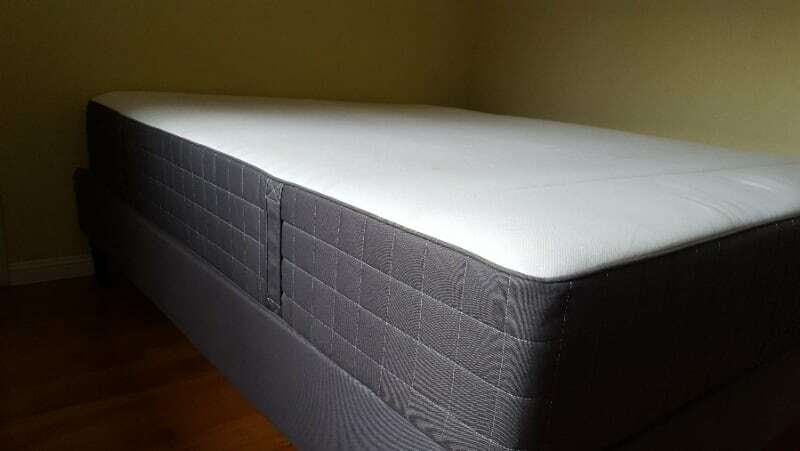 However, they had complaints about the bed frame scratching easily and the assembly process being too long and difficult. Therefore, be careful not to damage the frame while assembling it to avoid any scratches that could ruin its appearance. All together, the Brimnes bed frame, available in king, queen and full size, is a good quality bed with storage that offers both functionality and convenience. This combination includes a Brimnes bed frame which provides four spacious drawers and enough space to store plenty of items as well as a headboard that goes against the wall. The headboard is completely separate from the bed frame and it has to be drilled to the wall. What is convenient about it is that its top shelf has holes for cords to lamps or chargers, providing you electricity without having to deal with entangled cords. 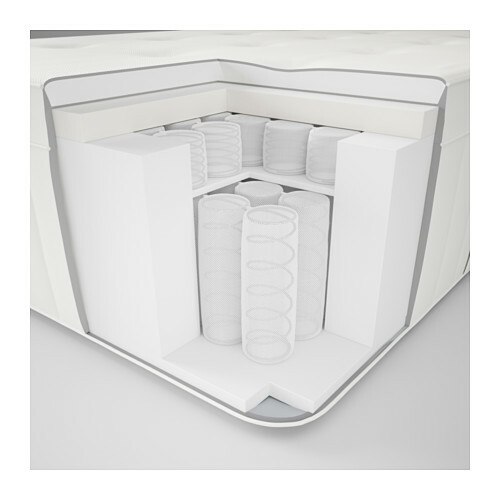 The bed frame has adjustable sides, allowing you to choose a mattress freely, without having to worry whether it would fit the frame or not. The headboard in this case gives you a good back support if you love reading or watching TV in bed. Just put some pillows against it and enjoy the comfort. With this bed frame you can choose one of IKEA’s three bed bases, which will dictate the price of the final product. Customers had complained about the bed frame having sharp corners and the whole thing not being durable when moved. If you were to move this item, you would have to take it apart and then put it back together again. The Brimnes bed frame is available in king, queen and full size. The Malm bed frame offers a clean design that can fit any setting and style. 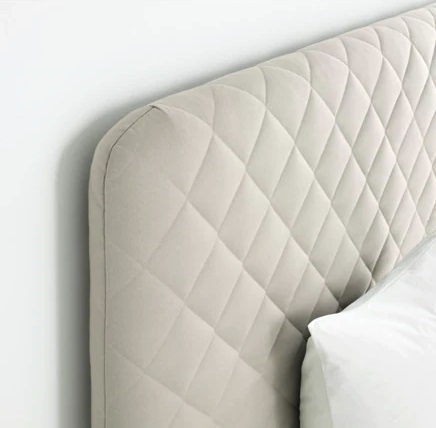 You can choose to use it with or without a headboard, as that is completely up to you. This bed frame is packed with four spacious drawers that give you plenty of storage space for your needs. The mattress and the bed linen are sold separately while the Skorva mid beam and one of the slatted bed bases are included in the price. You can choose one of IKEA’s three slatted bed bases; Luroy, Lonset or Leirsund. 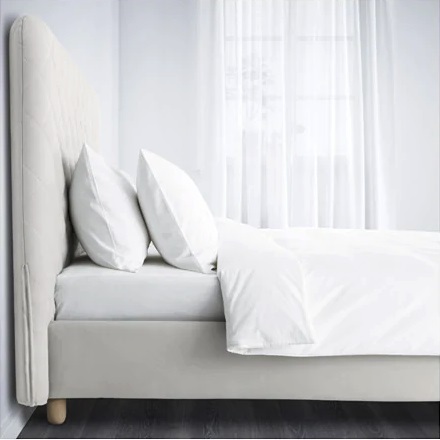 The Malm bed frame has adjustable sides that make choosing a mattress quite easier. The height of the frame gives you a cozy feeling and adds to the style of the product. IKEA recommends the Varv spotlight to be used with this bed frame, if you are going to use it with a headboard. The Varv spotlight can easily be mounted on the headboard without screws and it can be taken off just as easily, providing you light when you need it. This product is available only in king and queen size. 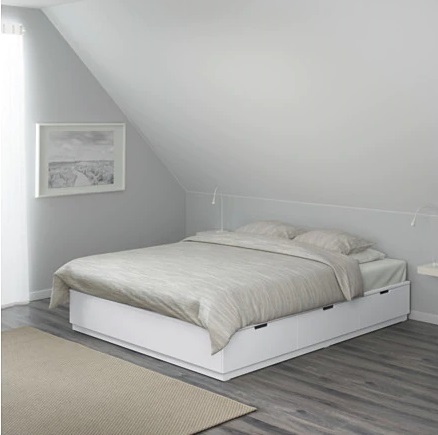 Overall, IKEA’s Malm high bed frame is a convenient and stylish storage solution! 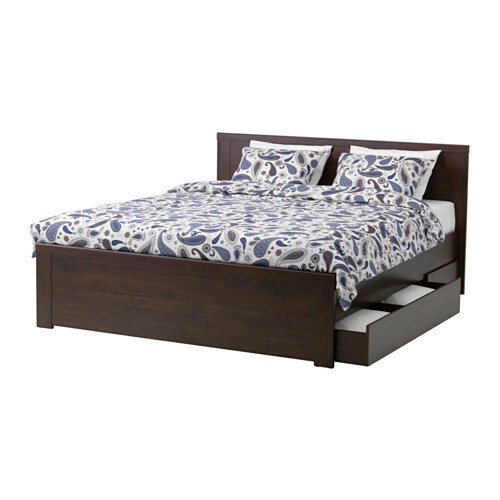 The Hemnes bed frame is made of solid wood, which is a natural and durable material. 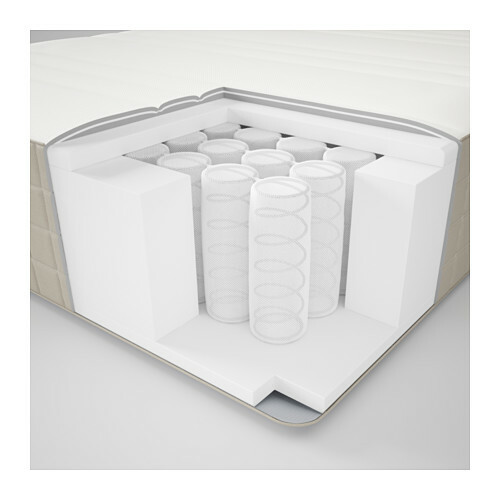 It offers a practical and spacious storage solution with four storage boxes integrated in its structure. 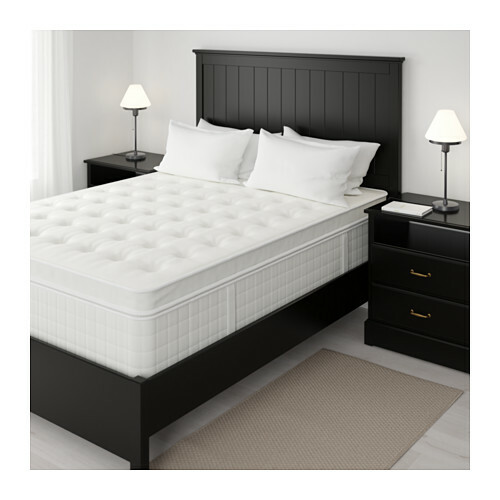 The Skorva mid beam and the slatted bed base are both included in the price while the mattress is sold separately. However, unlike with the above mentioned beds, with the Hemnes bed frame you don’t get to choose the slatted bed base as only one is included in the price, which is the cheapest, Luroy bed base. The solid pine this bed frame is made of has a clear acrylic lacquer layer that makes it more durable and aesthetically pleasing. 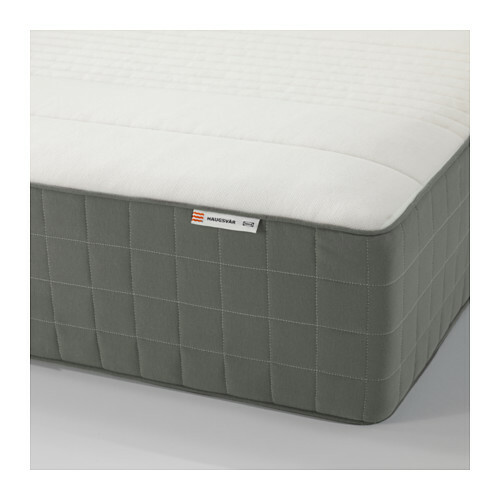 The bed frame has adjustable sides, allowing you to fit a mattress of any thickness. 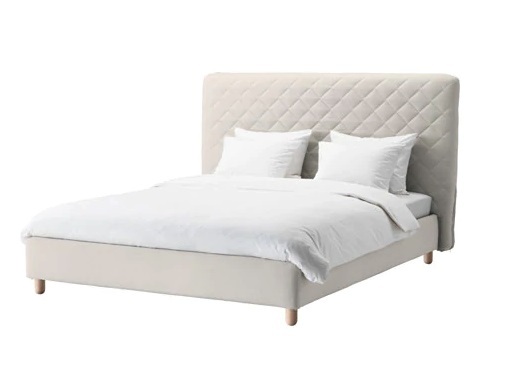 Since only one bed base is available for this product, the price does not change and it equals to 349$ for full size, 399$ for king size and 349$ for queen size. 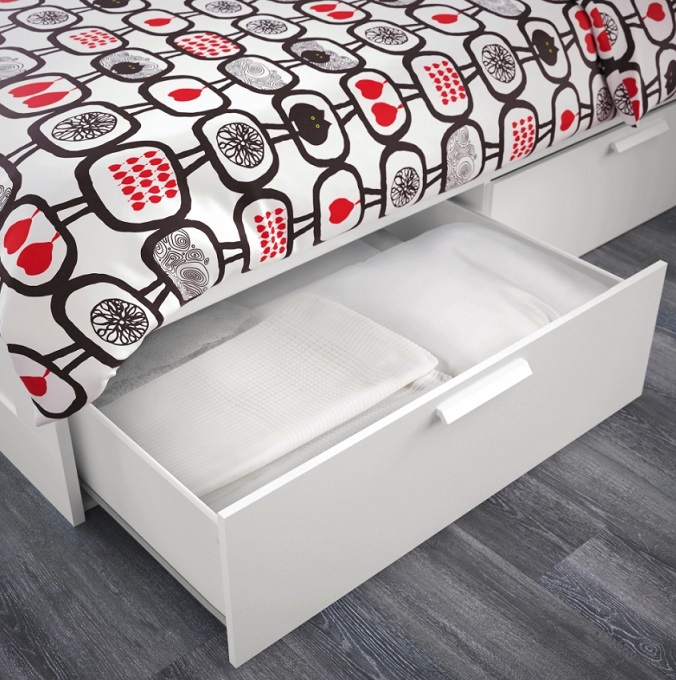 Unlike the spacious Hemnes bed frame, the Brusali bed frame offers two storage drawers. It is available in queen and full size, while the price varies depending on which slatted bed base you choose. You have the option of choosing between the adjustable Leirsund slatted bed base, the cheapest Luroy bed base and a bit more advanced Lonset bed base. 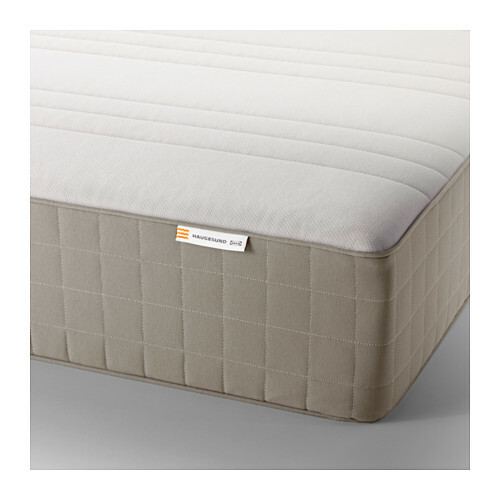 The Skorva mid beam, needed to ensure stability of the bed and keep the mattress in place, is also included in the price. The Brusali bed frame is a great storage solution with adjustable sides. The extra storage space is convenient for small spaces, even though it does not have four drawers like many other IKEA storage beds. Thanks to the acrylic paint finish, this bed frame is easy to maintain, as you can clean it using a cloth and some mild detergent. 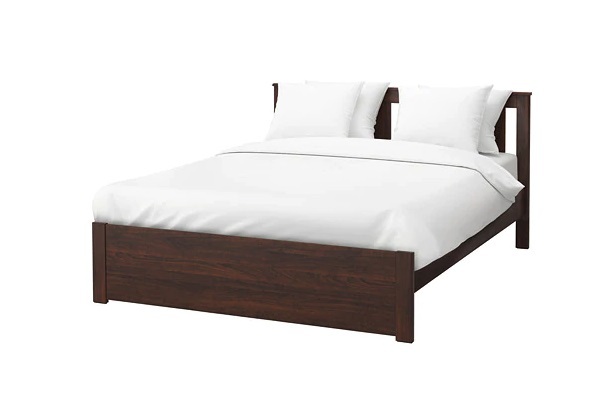 This bed frame comes in brown color and is generally a good quality product. Judging by the information IKEA had provided, the Brusali bed frame is a great storage bed for small spaces! This bed frame differs from the other bed frame from the Brusali series in the number of drawers. This one, obviously, offers more storage space as it provides four spacious drawers. The Brusali bed frame is a classic piece of furniture that combines character and functionality, making it stylish and useful at the same time. The bed frame has adjustable sides that allow you to use a mattress of any thickness, as you wont have to worry about the size of the frame. The product is available in queen and full size. 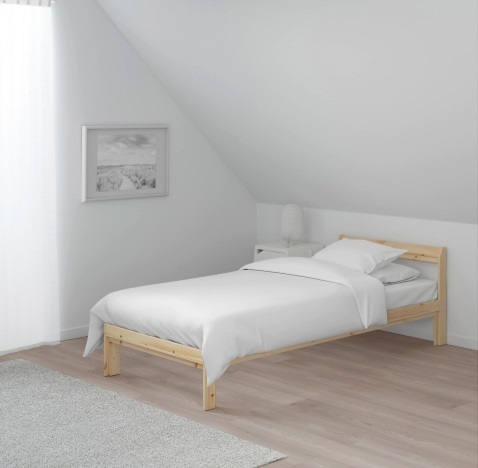 The Skorva mid beam as well as one of IKEA’s slatted bed bases are included in the price, while the mattress and the bed linen are sold separately. The Brusali bed frame is easy to maintain and it goes great with any style you choose. Of course, it coordinates the best with other furniture from the Brusali series. 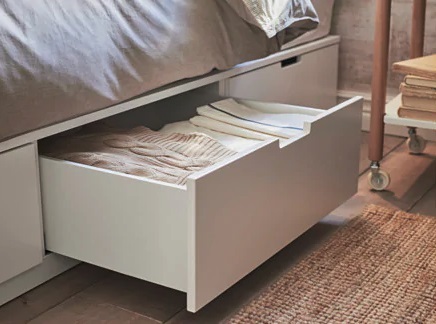 This bed frame with storage is a great option for small spaces because it combines convenient storage spacing with a comfortable and convenient bedding solution. The bed frame is basically the same as the one above, the only difference being the extra two drawers, which may play a huge role in deciding on whether to purchase it or not. 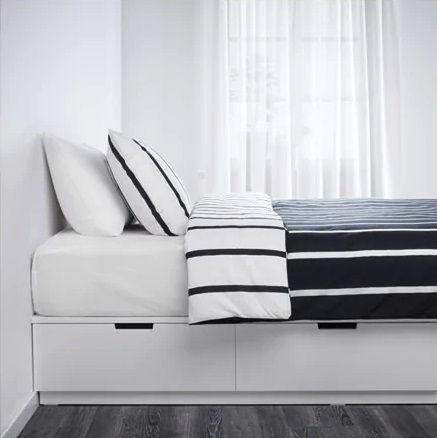 The Nordli bed frame with storage is a simply designed piece of furniture with outstanding six spacious drawers for the best use of space under the bed. 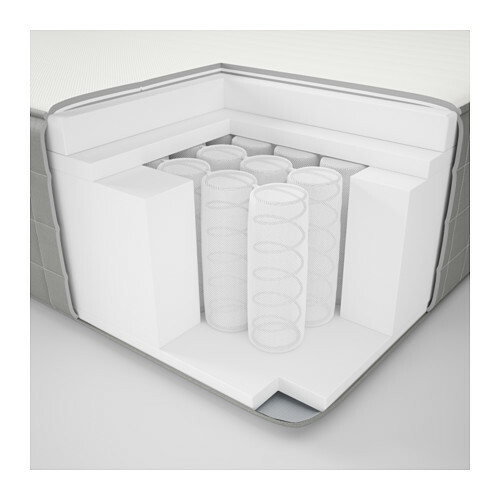 The six drawers allow you to properly organize your storage and never get lost in it again. They open smoothly and silently, as they are very high quality. This product combines modern minimalism design with functionality, making a great combination for any bedroom. The Skorva mid beam and the slatted bed base are included in the price while the mattress is sold separately. Be careful when making additional purchases because this bed frame can only fit 70 7/8 – 76″ wide and up to 79 1/2″ long mattresses. IKEA recommends the FIXA stick-on floor protectors to be used with this bed frame, in order to avoid damaging the flooring. 80% of the materials this bed frame is made for is renewable. This convenient frame with plenty of storage space is rated high on IKEA’s store and it is available only in king and queen size. This Malm bed frame with storage differs from other such bed frames because its storage unit are not drawers. This bed frame offers maximized use of storage space by allowing you to lift the bed base and store things inside the frame. This bed frame can be freestanding or it can be used with a headboard against the wall. 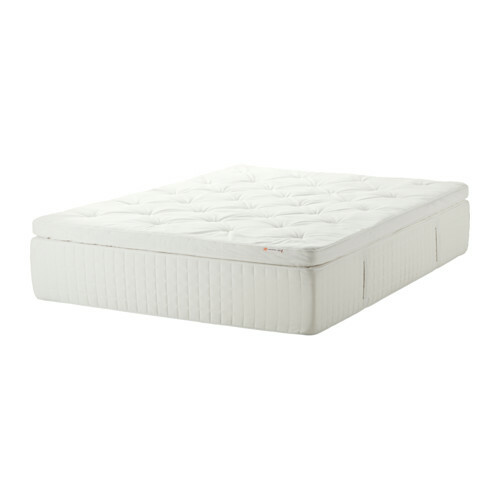 The slatted bed base is included in the price while the mattress has to be purchased additionally. 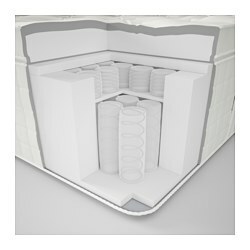 Speaking of mattresses, IKEA recommends these as the best fits for this bed frame: Haugesund or Haugsvar spring mattresses and Morgedal, Matrand or Myrbacka foam mattresses. Keep in mind that these are only IKEA’s suggestions, as you are free to purchase the mattress you want, based on your material preferences. Customers have given this product a high rating on IKEA’s store, which is quite high. 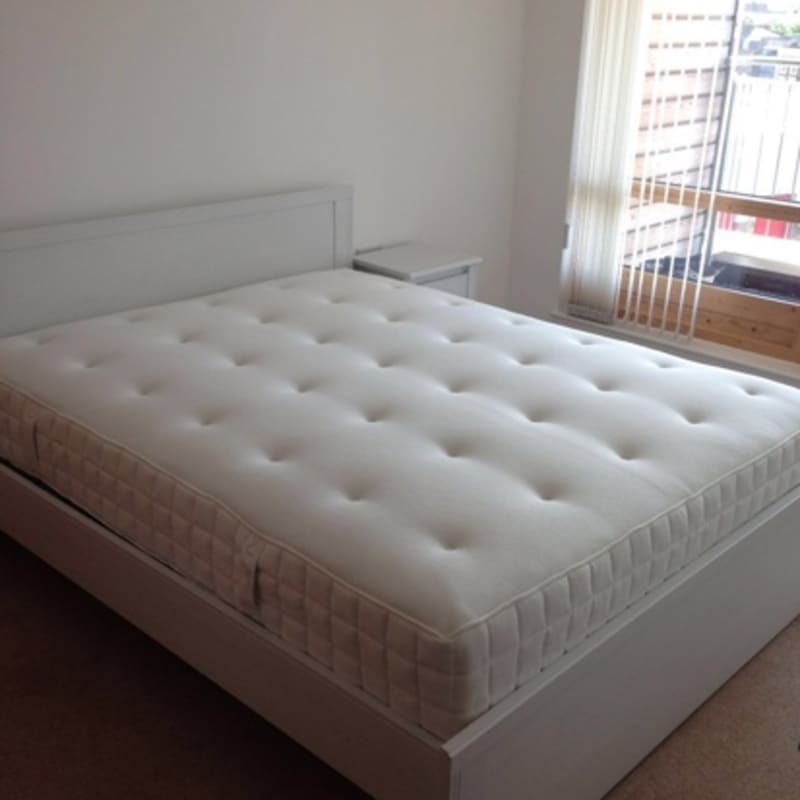 The bed frame is mostly praised for its spacious storage area but there have been complaints on the site as well. The main complaints were about the bed frame being difficult to assemble, which you can expect with any IKEA bed frame. This bed frame is available in queen and full size only. 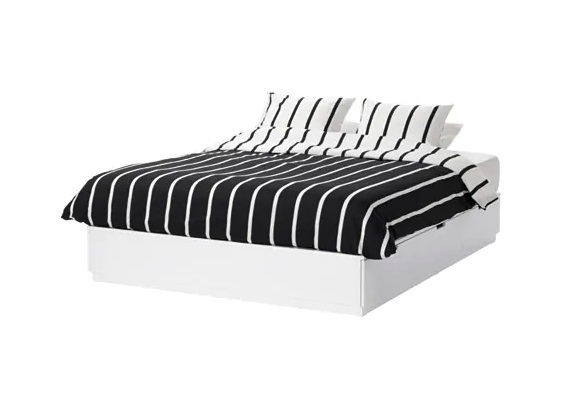 The Hemnes bed frame with storage is available in twin size only and offers two drawers for storing your items. The bed frame is made of solid wood, a durable and natural material that is bound to last long. The Luroy slatted bed base is included in the price of this product and you don’t have the option of choosing a different one. 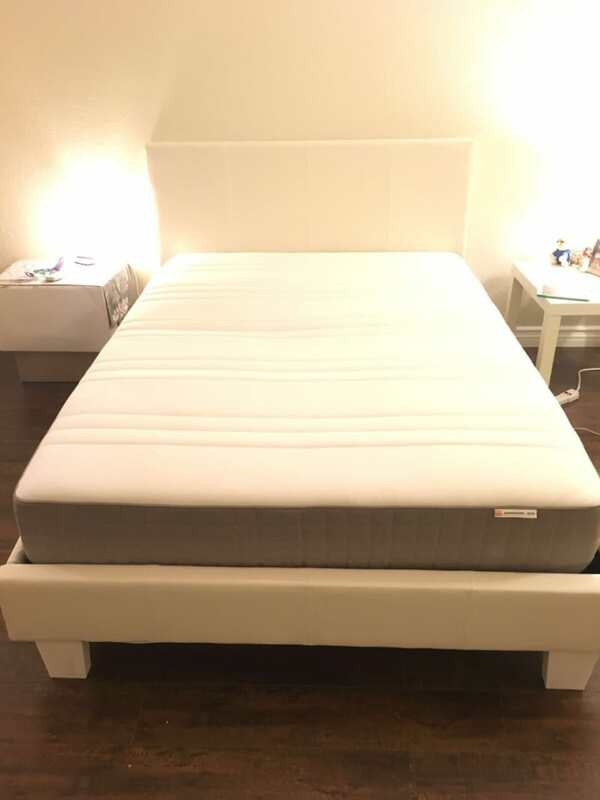 The bed frame has adjustable sides, meaning you wont have to worry whether your mattress or the mattress you’re going to purchase would fit in it. The solid pine this bed frame is made of has a clear acrylic lacquer finish, which makes it easy to clean with a cloth and some mild detergent. The Hemnes bed frame comes in white color and, unfortunately, it does not have any reviews on IKEA’s site that would let us in on how the product feels in use. Either way, keeping in mind that it is made of solid wood, this bed frame is a good quality product that offers you practical storage at an affordable price. The mattress is, of course, sold separately. All together, this bed frame is an average storage solution for any bedroom. 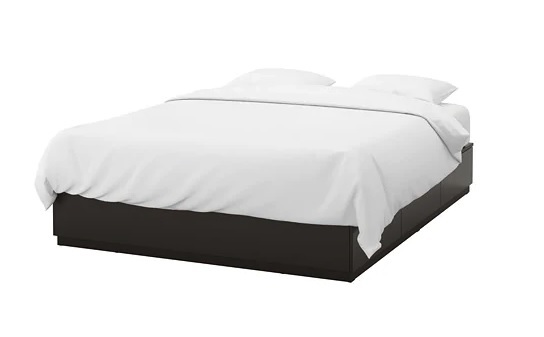 Unlike the Malm bed frame with four storage boxes that is available in king and queen size, this bed frame with only two storage boxes is available in twin size only. The slatted bed base is included in the price, while IKEA allows you to choose either Luroy or the Lonset bed base. Even though this bed frame offers only two storage drawers, they are quite spacious and roll out smoothly. 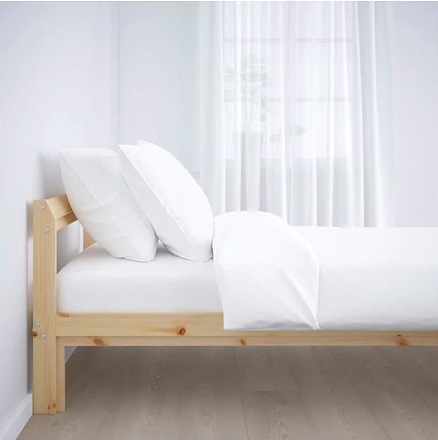 You can use this bed frame with a headboard attached to the wall as well, in which case it is recommended to get the Varv lamp that can easily be mounted and taken off without screws. 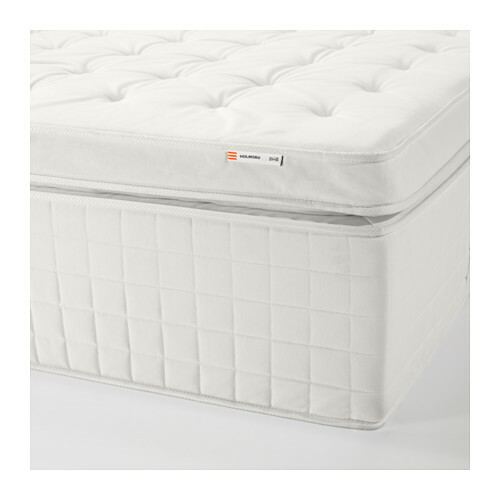 The mattress and the bed linen are sold separately, while the bed frame has adjustable sides that will let you freely choose any mattress you like. 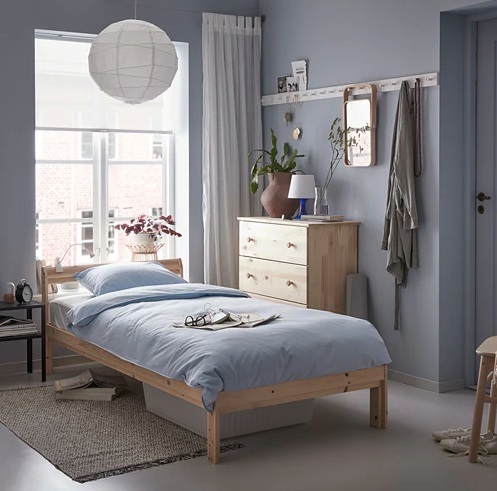 All together, this Malm high bed frame is a great solution for a smaller teen room, since it comes in twin size and has quite enough storage space. 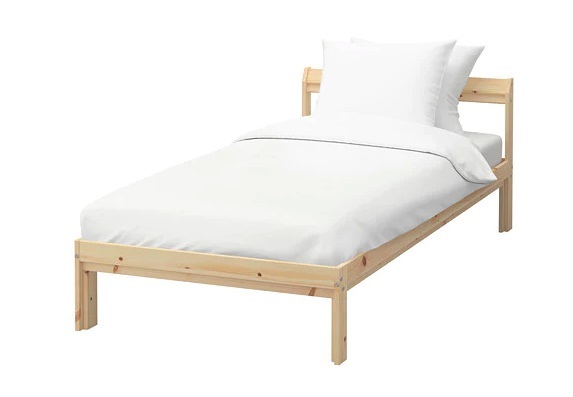 IKEA has plenty more storage beds in offer but these ten are the ones that stand out the most. We have done our best to compile a diverse list for you, where every customer can find something that suits their needs!